District Six is Cape Town’s most notorious area from the troubles of apartheid. What you see today is acre after acre of empty grassland, which partly tells the story of its past. It was once an area where people of all backgrounds lived, but that changed when it was designated a ‘white only’ area. The bulldozers moved in and houses were torn down. Their owners, who had often lived there for generations, were told to leave. To be honest, there’s not a lot to see in District Six itself as so much of it was destroyed. You’ll see the vacant bits of land from the main roads that run past and we just stopped for a photo on one occasion. The District Six Museum (pictured below) is the best place to learn about what happened. 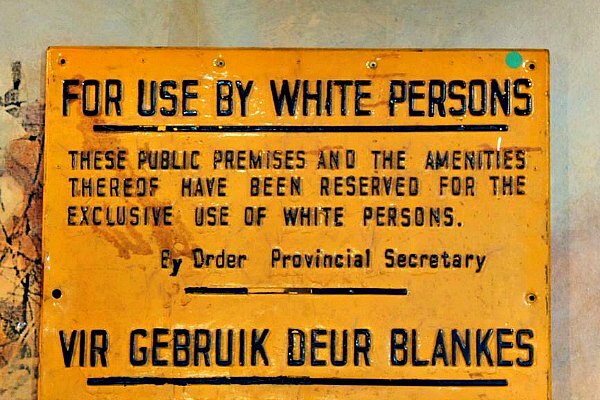 Over two floors, the museum explores the decision in 1966 to declare the area ‘white only’ and the repercussions that had not only in South Africa but around the world. You’ll see signs, documents and photos that tell the story of the 60,000 people who were displaced. 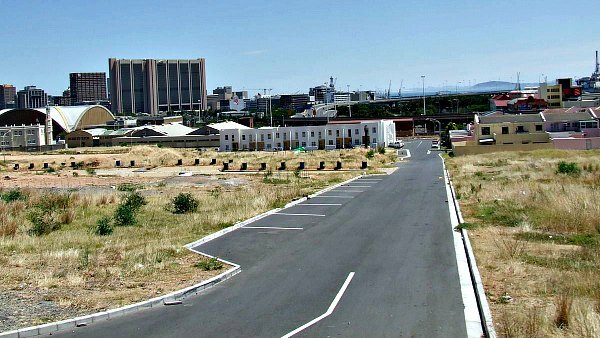 There is still much debate in South Africa about whether the empty land should be built on or whether it should stay as a reminder of the past. 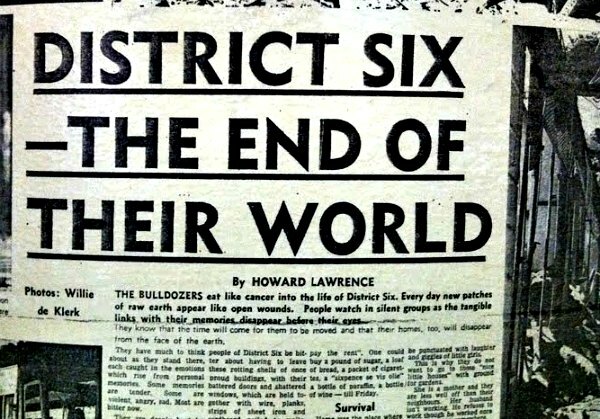 District Six has its place in popular culture too. Hollywood director Peter Jackson made the movie District 9 which is inspired by the events of District 6. The location was switched to Johannesburg and aliens replaced communities of mixed races, but if you watch the film the mirrors of the past are there including re-workings of original District 6 signs. We didn’t find it a pleasant film to watch, but we suppose that’s the point. District Six Museum is located on Buitenkant Street and adult admission costs 30 Rand (2014 prices). You can pay extra for a former resident to guide you. The museum opens Monday to Saturday from 9am to 4pm. 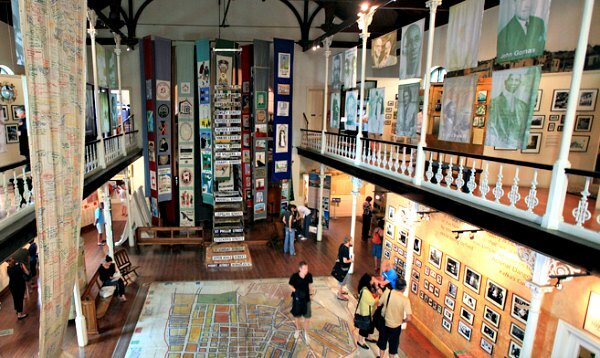 District Six Museum is located in the centre of Cape Town not far from the Castle of Good Hope. The Cape Town Hop-on, Hop-off Bus Tour stops right outside.